When it comes to raising money from individual donors, the advice I find myself giving over and over again comes down to a simple formula: Stop trying to match your personality to your prospect's. Instead of trying to act like someone else – which never really works – craft your donor presentations so they reflect your unique strengths. But how do you do that? After more than 40 years in the nonprofit sector and as a student of human behavior, I've learned that that are four different Asking Styles that are a natural outgrowth of four basic facets of people's personalities. Learn your own Asking Style and you're on your way to becoming a successful fundraiser – without having to feel like you're faking your way through donor interactions. Take me for example. I’m an extrovert and naturally drawn to people. I seldom shrink from a one-on-one or even a group encounter; in fact, I enjoy the back and forth of a good discussion and the chance to try on different ideas. I actually find out what I think through conversations! I’m not inclined to deep research, and would much rather explore ideas than get hooked on the facts – from my perspective facts are meant to back up ideas, not to spark them. This is just who I am – an intuitive extrovert. In the Asking Styles lexicon, I’m a Go-Getter. But my style might not work for you. In fact, you may be shocked – even horrified! – to think that someone would propose ideas before doing careful research to see what the data suggests. Does the very thought of having a free-flowing conversation or talking to a donor without a plan of attack make you anxious? At the same time, you may be a still-rivers-run-deep kind of person. Where I'm gregarious and love personal interactions, you may be more comfortable writing an email than working with people in person, or even picking up the phone. Regardless of whether you're intuitive or analytical, an extrovert an introvert, don't worry! Whatever your natural temperament, you can ask for gifts in the way that suits you best. If you know your Asking Style, you’ll be more comfortable asking for gifts. And more the more comfortable you are, the more effective you’re likely to be. The Asking Styles system is simple and easy to remember; based on two axes, the system sorts people into four primary styles. Start with the vertical axis. Are you an extrovert or an introvert – are you energized by interacting with others, or do you need alone time to charge your inner batteries? Then add the horizontal axis. Are you intuitive – a deductive thinker who comes up with ideas and then examines the facts? Or are you analytical – an inductive thinker who does research before shaping your ideas? 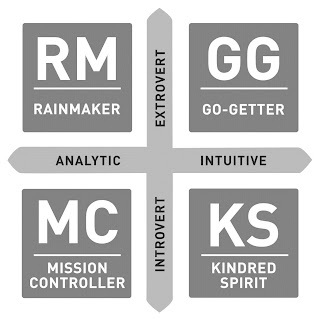 Combine these two axes to find the four Asking Styles: Rainmaker, Go-Getter, Kindred Spirit and Mission Controller. Each style is quite distinct, and each brings different strengths to the fundraising table. Knowing your own Asking Style will help you understand the approaches that are the most comfortable and effective for you. If you find yourself thinking you have a foot in more than one Asking Style, don't worry; Asking Styles are a continuum, not a set of absolutes. 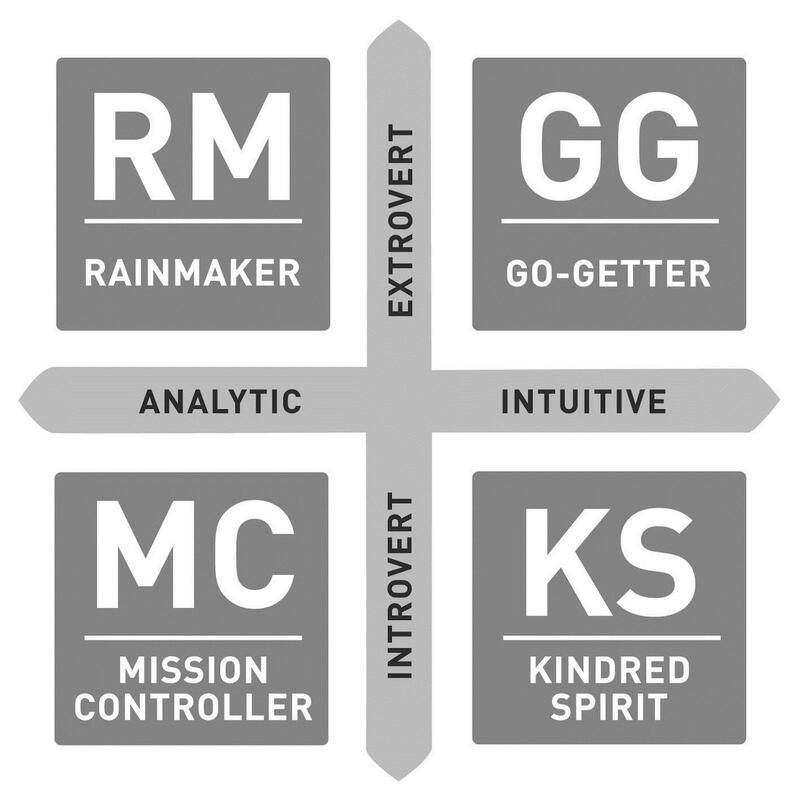 For example, your primary style may be Mission Controller (analytic introvert) but you may also share characteristics of a Kindred Spirit or a Rainmaker. Take a look at the simple descriptions below and see which of the styles seem to best describe you. Knowing the different Asking Styles – and knowing which one most closely describes your personality – will give you a clearer sense of everything from deciding which prospects are best for you to choosing how to prepare your ask, conduct the solicitation and even follow up with the donor. In fact, after working with this approach for several years – and writing a book about it – I've found that consciously employing Asking Styles can have a positive impact on virtually all aspects of the fundraising process, from choosing solicitation teams to pairing fundraisers with donors. The key here truly is knowing and being yourself. 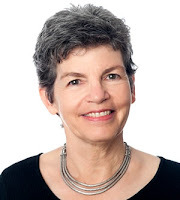 Andrea Kihlstedt has served the nonprofit sector for more than 40 years as a fundraiser, consultant, teacher, and speaker. In her third book, Asking Styles – Harness Your Personal Fundraising Power, Kihlstedt describes how anyone can use the fundamental aspects of their authentic personality to become highly effective fundraisers. We’re about to begin the second century of philanthropic giving by community foundations. Started in Cleveland in 1914, they now number more than 700 institutions domestically. They are linked and distinguished by a unique, place-based, community-engaged approach to philanthropy. Their targets are local. Their efforts are continuously informed by local developments. At their best, they are involved in a locale’s nearly every important civic venture. 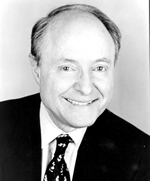 Several months ago I asked Paul Grogan, the president and CEO of The Boston Foundation, as well as a good friend, to reflect on recent developments in philanthropy and highlight the compelling strengths of community foundations as seen from his perch. Paul’s arrival at TBF more than a decade ago had ushered in a transformation in how the Foundation did its business. TBF now acts in a very different manner than under its predecessor. In research, analysis, policy advocacy, communications, outreach, and numerous other clusters of its work, the changes have been planned, organic, and effective. Today there is universal agreement that TBF is one of the most effective foundations in the country. Paul’s story is also a personal one of leadership, both institutional and individual. We can see examples of growth and maturation. He describes a decade of changes and the results the changes produced. It is a very important story, and not only for Bostonians. Many of the institutional and programmatic strategies devised and encouraged by TBF are available to other funders – adapted, of course, to their local situations. The description shows how contemporary community foundations can become more agile, energized, relevant, and, not least, consequential in their communities. As we enter the second decade of a new century, this essay offers a rough guide for foundations willing to intentionally take up the challenges of staying relevant and forging positive social change. Changing the Game is the second in a series of occasional essays published by the Center. (The first was titled Disrupting Philanthropy: Technology and the Future of the Social Sector, whose lead author is Lucy Bernholz of Stanford University.) I am the General Editor of the series, along with Barry Varela of the Center’s staff. Please do let us have your feedback on this essay and send along ideas for topics of high import that should be addressed. Edward Skloot, who has served since 2007 as Director of the Center for Strategic Philanthropy and Civil Society at the Sanford School of Public Policy, Duke University, is retiring at the end of June. “Changing the Game: Civic Leadership at The Boston Foundation, 2001-2012” may be viewed here. When the topic of “coaching” comes up, many people think about the leaders of successful sports teams. The type of coaching that the International Coach Federation (ICF) supports, though, is a little different. We take the same concepts surrounding these highly trained and skilled professionals and transfer them to a wide range of organizations and individuals seeking guidance to reach their goals. This week’s observation of International Coaching Week is designed to raise awareness of how professional coaching helps people increase their productivity, attain their goals and lead more fulfilling lives. North Carolina Gov. Pat McCrory has even issued a statewide proclamation officially the occasion. The ICF defines coaching as partnering with clients, including nonprofit organizations and personnel, in a thought-provoking and creative process that inspires them to maximize their personal and professional potential. Coaching is a distinct service and differs greatly from therapy, consulting, mentoring or training. For business, coaching from a certified professional can help executive leadership set company goals, formulate a plan for achieving those goals, work with employees to cut the clutter and improve overall culture and more. With nonprofit organizations, these same initiatives can be achieved, always keeping the people served by the nonprofit at the forefront. With budgest and personnel being tight for many nonprofit organizations, coaching may seem out of reach. We believe, however, that coaching should be accessible to all who need and can benefit from the carefully structured and informed guidance of professional coaches. ● Raise awareness of the value and benefits of ICF and professional coaching for leaders and organizations. Through working with nonprofits to provide them with professional coaching, we seek to help them devise a strategy to achieve goals, raise awareness of their organization and the services provided, expand their reach, build public goodwill and more. Most of all, we want nonprofits to become stronger and enhance their mission and vision through professional coaching. Remember, there is a coach out there for any nonprofit organization, whether local, national, dealing with the arts, medicine, children – you name it, there is a coach for that! After all, nonprofit organizations serve the public in a variety of ways, and we want to serve them in a way that is accessible to all. If you are interested in coaching for your nonprofit, please visit the ICF-Raleigh Area Chapter website at http://www.icfraleigh.org, email Sackeena Gordon-Jones at president@icfraleigh.org. You can follow the organization on Twitter at @IFC_RAC, on Facebook at https://www.facebook.com/icfraleigh or on LinkedIn at http://linkd.in/ZbdKus. Nonprofit leaders that are members of the NC Center for Nonprofits can also request the service by using the online application on the Center’s website. Sackeena Gordon-Jones is the president of the International Coach Federation-Raleigh Area Chapter. With more than 20 years of corporate experience, she has held numerous roles including strategic advisor, leadership development consultant, corporate coach and director of Global Learning and Development at SAS. She now provides executive and personal coaching in a private practice while serving as director of the Business Coaching Program at NC State University.